More than 130 new exhibitors from across the globe have signed up for WTM London – the leading global event for the travel industry, which takes place next week (November 6-8). The newcomers represent every continent and every sector of the travel trade, including destinations, technology, hospitality, tour operating, cruising, insurance and car hire. 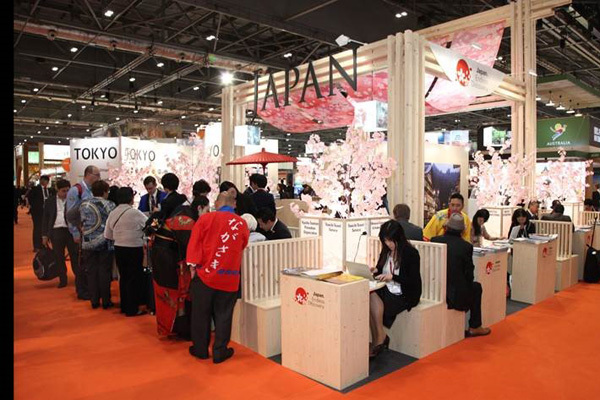 The fast-growing Asian markets are particularly well represented, with 33 of the new exhibitors from Asia. Major new first-timers from Asia include Hong Kong International Airport (stand AS964) and Kazakhstan’s culture ministry (stand AS970). Hong Kong International Airport handled 70.5 million passenger trips in 2016, and is seeing more growth this year. More than 100 airlines link Hong Kong with about 220 destinations worldwide every day, making it one of the world’s busiest passenger airports. The Ministry of Culture and Sport of the Republic of Kazakhstan will highlight a wealth of tourism opportunities in the central Asian country, from wellness and activity holidays to adventure and heritage travel. The largest city of Kazakhstan, Almaty, is also making its debut at WTM London (stand AS510). It is a bustling, leafy city, with museums, shops and nightclubs, and offers sporting breaks for skiers, hikers and cyclists. Sri Lanka has a new exhibitor too: The Kingsbury Colombo (stand AS910), which is an award-winning luxury hotel in the heart of the country’s capital, with views over the Indian Ocean. Elsewhere in Asia, there are new exhibitors from Iran, China, Japan, Russia, Vietnam, Nepal, Azerbaijan and Kurdistan. The burgeoning technology sector is also brimming with new exhibitors, as 38 firms are making their debut at WTM London’s Travel Tech Show – the largest travel technology event in the UK. Sceptre Hospitality Resources (stand TT229) works with thousands of hotels worldwide, with its Windsurfer reservation system and internet booking engine, TopSail. Wetu (stand TT401) will show how it can add value to its clients by making business more efficient and increase their ability to convert opportunities. Other sectors welcoming fresh faces are the tour operators and industry suppliers such as car hire and insurance markets. Online specialist ImperaTours (stand GV345) promotes Italian hospitality and is part of Imperatore Travel World. Car and van hire firm B-Rent (stand GV484) has a fleet of 2,000 cars and has started to specialise in luxury and wedding services. Another growing car hire brand is Crete-based SurPrice Car Rental (GV370) which operates in 19 countries and is looking for further expansion opportunities. WTM London, senior director, Simon Press said: “We are very encouraged by the sheer diversity and numbers of new exhibitors signing up for WTM London. “These first-timers will see how the event is an excellent platform to develop their businesses and meet contacts from around the world in one place.